The most recent of PUR's programs, Education and Outreach is tasked with fulfilling our stated mission that "We educate people about the value of healthy streams." 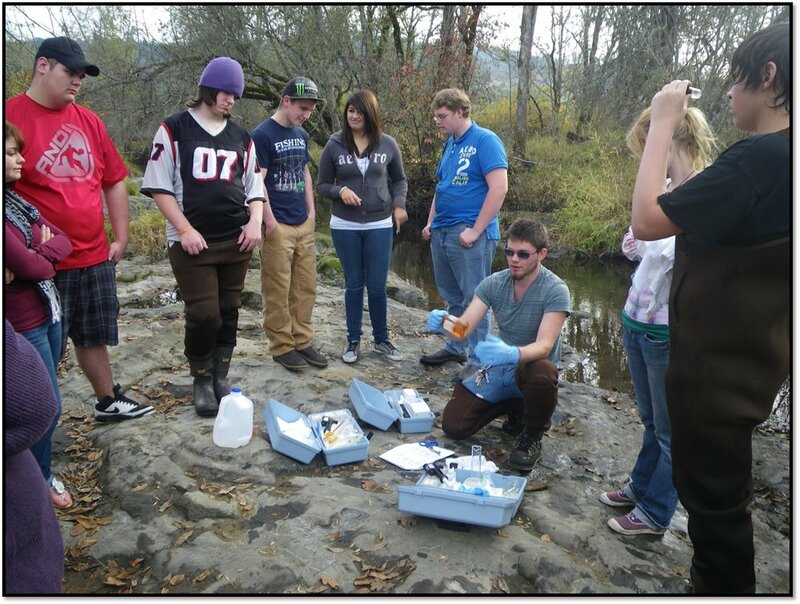 The Umpqua Fishermen’s Association (UFA) Canyonville Fish Release. PUR hosts the invasive species station at this annual event that reaches 200-300 elementary students each year. Glide Forestry School Tour: PUR helps host a fisheries station at this four-day OSU Extension-sponsored event for 5th grade students. Annual Umpqua Basin Cleanup: Started by Umpqua Watersheds in 1982, PUR took over this program in 2010. Hosted every September, this event encourages our community to get out and pick up the trash and debris left behind after a summer of streamside fun. It's good for fish and fun to do! Kid-friendly programs at public events: Housed in the Forestry Tent at the Douglas County Fair, PUR's popular Fish Toss Game can be played by kids for free after a brief educational program. The Fish Toss Game teaches participants value of replacing small, high culverts with low, fish-friendly ones. Our "Spinners for Beginners" activity at the Earth Day Fair encourages kids to get outside and go fishing with family and friends. Classroom and day camp presentations and programs: We are beginning to develop partnerships with schools and summer programs to educate youth about watershed stewardship. We can make presentations to school groups upon request. We are also launching our new "Salmon Schools" program which will encourage schools to commit to long-term, fish and watershed-benefiting activities.